In episode 4 of Tamayura ~hitotose~ there is an insert song performed by Marble. They do a nice rendition of “Yasashisa ni Tsutsumareta Nara”. 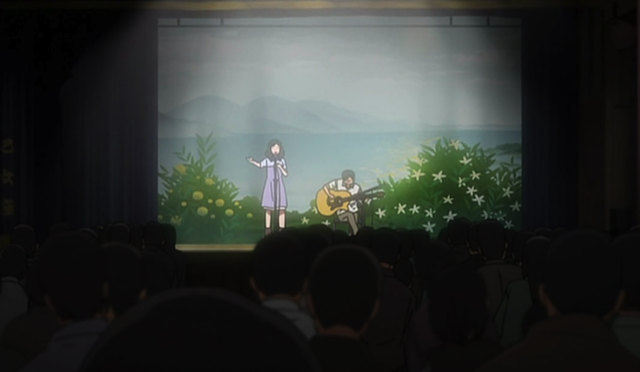 A Maaya Sakamoto performance of it was used as the OP in the OVA version of Tamayura. Unfortunately it is too soon for a linkable copy of it to appear online, so you should go now and watch the episode for yourself. “Yasashisa ni Tsutsumareta Nara”, which was originally the ED for Kikki’s Delivery Service, has lyrics that are very pertinent to the themes of this show, for example the refrain, “Let it’s gentleness engulf you”. 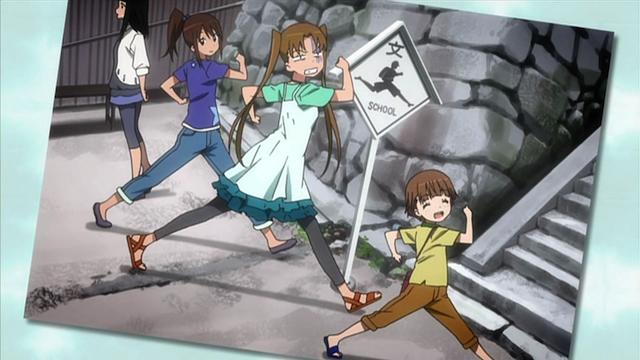 The girls go for a stroll in Mitarai, an historic village on the Inland Sea island of Osakaishimo. 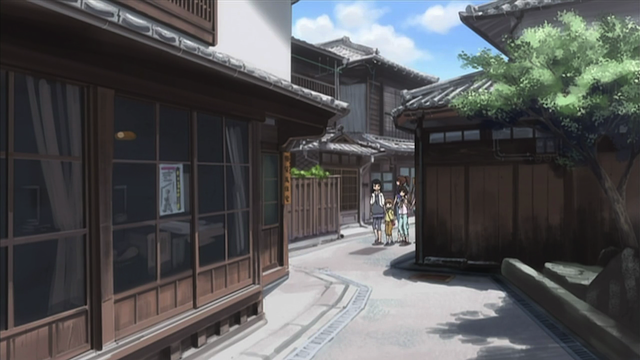 Maon’s family owns a ryokan in Mitarai, and Fu’s grandfather also lives on the island, so the girls take a trip during Summer break. 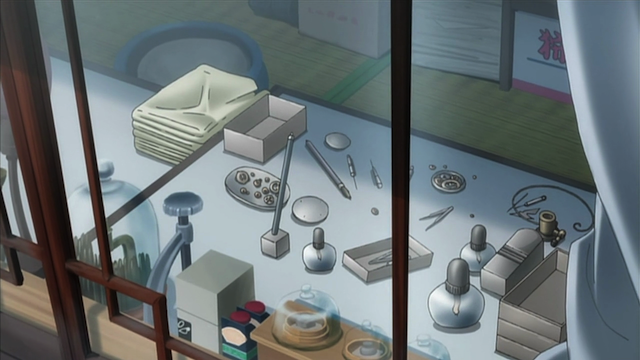 A master watch repairman's shop. As I’ve said before, the nobility of doing things with one’s hands is an important theme in this show. Here the girls find out from Fu’s grandfather that a master watch repairman lives in the village, who is sent watches from all over the world to fix. I love illustrations of tools, so, yeah. 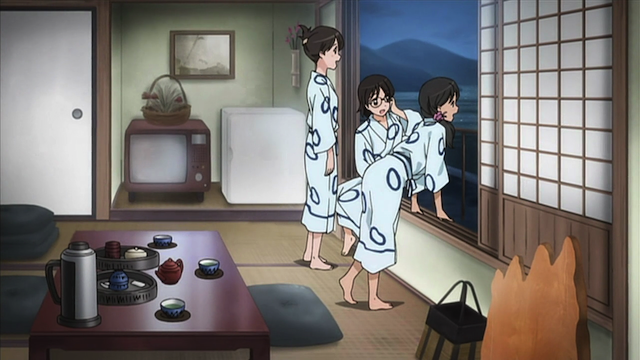 Girls in yukatas. Admire the view. Well, I’m sure there are different philosophies on that. Some people are trying to capture, some aren’t quite satisfied with that and want to construct; as long as everyone is having a good time, I don’t suppose it really matters.